Early Access for Forza Horizon 4 is here! If you’ve got the Forza Horizon 4 Ultimate Ediiton, then you can start exploring beautiful, historic Britain today. Early access is available on both Xbox One and Windows 10 PC versions and gives you full access to the game, as well as other goodies that can only be found in the Ultimate Edition of Forza Horizon 4. 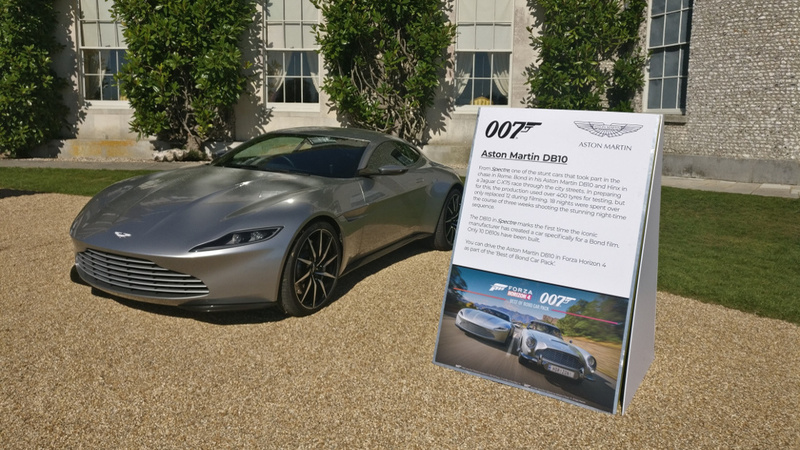 This includes the Best of Bond Car Pack, featuring 10 iconic cars inspired by more than 50 years of James Bond films, as well as VIP membership, featuring 3 exclusive Forza Edition Cars, a VIP Emote and Car Horn, a free player house, and much more. Forza Horizon 4 launches worldwide on October 2 and will be available as part of Xbox Game Pass. If you can’t get enough Forza Horizon 4 coverage between now and the global launch, don’t miss our special Forza Horizon 4 launch day stream coming to you from Playground Games beginning on October 1, which you can watch on our Mixer and Twitch channels, more details on that at the bottom of the article. This week has been an amazing one for Forza – as we’ve celebrated the launch of Forza Horizon 4 from one of the traditional homes of automotive culture and as we look ahead to the ForzaRC Season 2 Playoffs in Mexico City. Let’s get you caught up with all of that and more here in the Forza Week in Review. The Goodwood House in the UK is a critical part of the country’s motorsport heritage as the home to the annual Goodwood Festival of Speed. This week, Goodwood served as host of an automotive party of a different kind: the Horizon Festival. 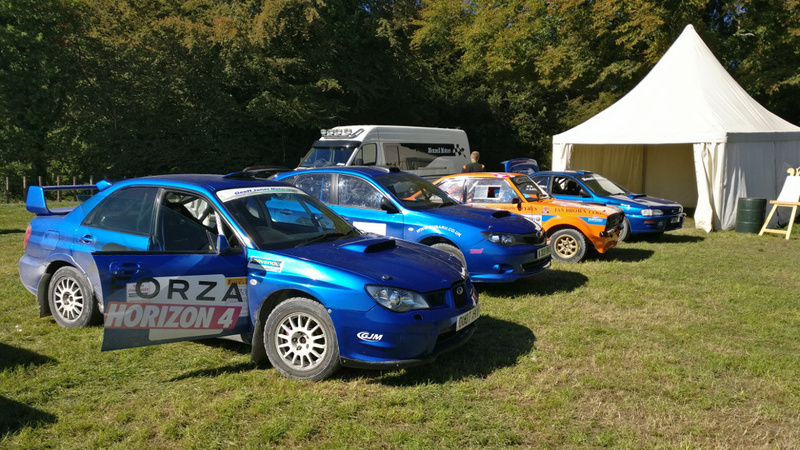 Xbox descended on Goodwood this week to celebrate the launch of Forza Horizon 4 in grand style. With influencers flying in from all over the world to take part in once-in-a-lifetime experiences, the festival also gave Forza Horizon 4 developers at Playground Games the chance to reveal brand new information on the game. 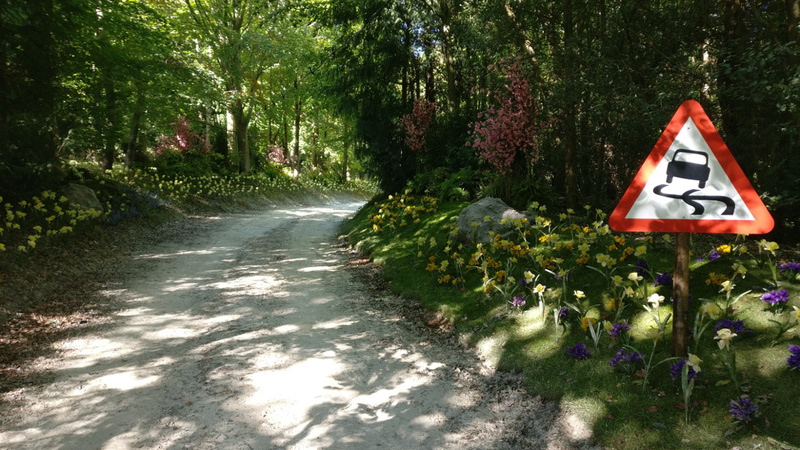 Yes, you heard correctly – you’ll have 40 miles(!) to work with when creating routes in Forza Horizon 4. Watching the video, I couldn’t help but think how cool it would be to try and recreate real-world race tracks within the world of Forza Horizon 4. How about a new Mugello in the Lake District, or recreating Monaco on the streets of Edinburgh? By the looks of the things, all that’s limiting you will be your creativity. I can’t wait to try it out and see what’s possible. 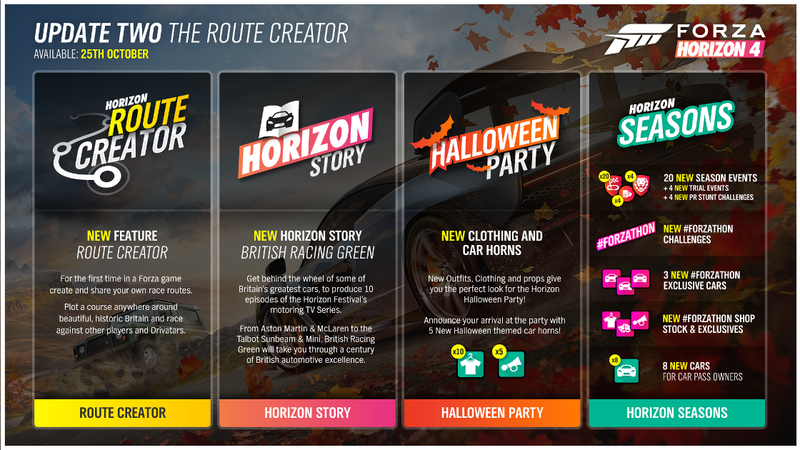 Look for the Route Creator to come online with the second update for Forza Horizon 4 on October 25. Best performance by a sheep in a supporting role? Yes, I think the Emmy’s need to consider it for this trailer. We are just a day away from the kickoff of the Series 2 Playoffs for the Forza Racing Championship. Dozens of the fastest drivers in the world have converged in Mexico City to battle for the title of Season 2 champion and a $75,000 prize pool. In the summer we saw what kind of fantastic racing action the Playoffs brought with our Series 1 Playoffs in Seattle and this weekend looks to be the same. Plus, with the ForzaRC Worlds just a few weeks away, the drivers know they have it all to play for in Mexico City. We’ll be bringing you all the action live on Saturday and Sunday over at watch.forzarc.com so don’t miss it! 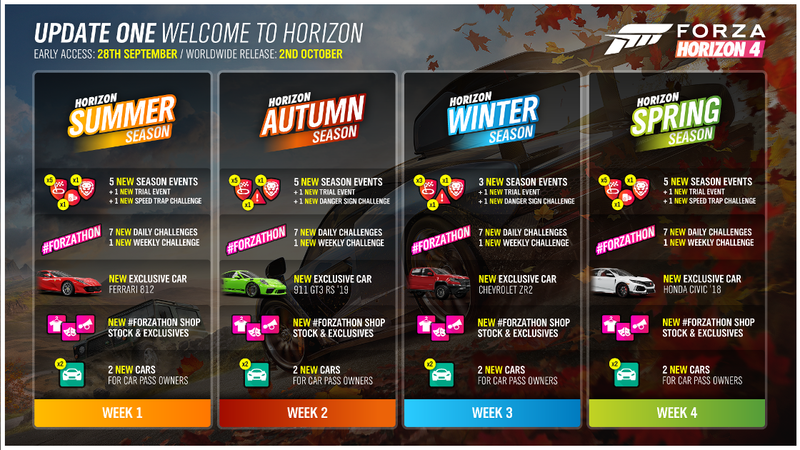 Forza Monthly – October 3! Hot on the heels of the Forza Horizon 4 launch at Goodwood and the ForzaRC playoffs in Mexico City, we’re bringing you the next episode of Forza Monthly on Wednesday, October 3. We’ll be celebrating the launch of Forza Horizon 4 with some deep dive gameplay with the community, as well as looking ahead to the ForzaRC World Championships in London. In addition, we’ll discuss the October update for Forza Motorsport 7, which will be released on October 2. With all the news happening in the Forza world, this episode promises to be a fun one, so be sure to tune in on Mixer or Twitch on October 3, beginning at 1 p.m. Pacific. See you there! On Monday October 1st, Playground Games will be streaming Forza Horizon 4 live from Playground’s studio in the UK. To celebrate the launch of Forza Horizon 4, the team will be playing their game from the beginning while giving an exclusive developer’s commentary on how the game was made. Expect to hear unique insights and stories about the development of the highest-rated Xbox title of the generation from the people who made it, as they play through the Prologue and into Horizon Life. The stream which will be live on our Mixer and Twitch channels will feature competitions and giveaways to allow Horizon fans to get involved as we build anticipation towards the global launch on October 2nd.